I am trying to upgrade my Apache to 2.4.38 by following the tutorial here . (I successfully manage to do this with PHP just a minute ago). I'm currently migrating my Symfony 2.8 project from PHP 5.6 to PHP 7.2 using this brilliant tool. 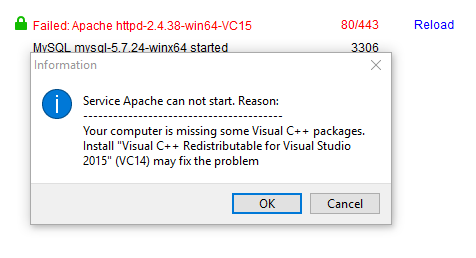 But if I want to enable the OpCache extension, Apache just keep crashing and I can't load my website. Even with the php.ini untouched. If I disable it, my project is working fine (but it is slow...). I'm also using memcache (not memcached) extension to manage server cache (legacy of PHP 5.6).